Andrea's World Reviews: Put An End To Stressful Moving. I am sure I am not along when I say that I despise moving. No matter how nice your new home(apartment) is, you just cannot enjoy the thought of moving and all the stress and work it brings with it. We have moved a pretty good number of items, and it was awful every time. Especially when we moved into our new (first) home from our apartment. We wanted to be in my Christmas, but since it was a new construction it was not ready until December 23rd(night) so we moved EVERYTHING in 1 night, and it was so much work. I though very hard about hiring some help, and even actually looked for it, but that was just as(if not more) stressful than doing it alone. Finding the rates and services offered was a nightmare, and even finding places in my area was a huge challenge. I know they are there, but could not figure out where to look. The internet is usually my best friend and makes everything easy to find, but I actually got more confused when looking to hire movers that way. So we just gave up and did it ourselves. Thankfully we were able to do it(barely), but I wish I could have an easy way to find exactly what I needed. If only I had known about Unpakt. 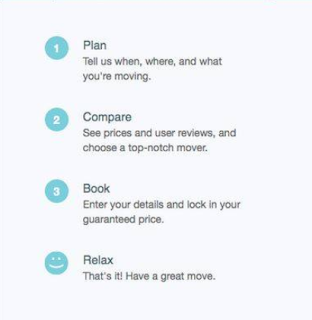 Unpakt is the first moving comparison service. 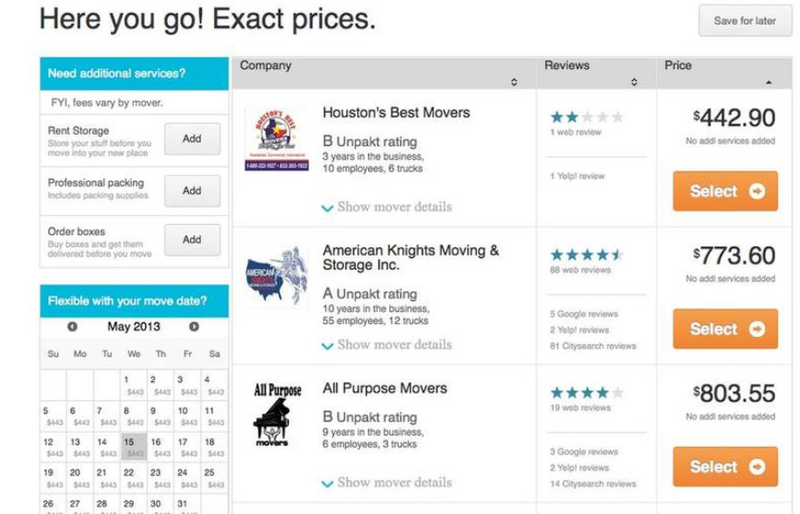 It allows you to find moving companies, compare exact prices AND reviews and book instantly. You put in your actual stuff, where you are at, where you want to go and everything so you really get your REAL cost, up front. It's GUARANTEED. Unpakt was recently featured in NY Times, Forbes, The Huffington Post Real Simple and more. That is so impressive, and proof that it really as good as it seems. 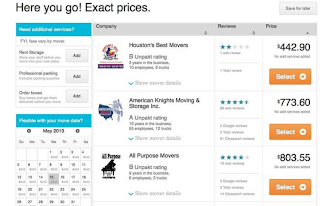 What I really love is that you only have to enter your information once, and you can use it to see the prices of any mover you want. That saves so much time. Being able to compare in one place just makes good sense. I am so glad someone finally found a way to make moving easier. Without all the stress and labor, you can actually enjoy the experience of starting fresh in your new home. Unpakt is available coast to coast. I love that. No matter where you are, you can get the perfect fit for your needs. Anyone who is planning a move definitely needs to check out Unpakt. Plus, if you are moving soon, you can even save money. Receive 5% cash back on your next move! Enter code SPRING5 on Unpakt.com when booking and save. Must book by 6/30/13. Be sure to follow Unpact on Facebook and Twitter as well.